The fans’ mobile apps and the news media systems integrated with the CFL API, can now continuously access real-time sports data without overloading the League’s primary database. EXECUTIVE SUMMARY: The Canadian Football League is a professional sports league in Canada, and the highest level of competition in Canadian football. Millions of fans rely on its cloud-based database systems for timely news updates, stats, and team information of any kind. To meet the high volume demand for data without risk overloading the primary RDS SQL Servers, CFL deployed multiple database read-replicas, using CloudBasic’s RDS Multi-AR – a robust RDS/EC2 SQL Server mirroring engine, which creates Multi-AZ and Multi-AR (Multi-Availability-Regions/Geo-Replicate) read-replicas. The Canadian Football League (CFL) is Canadian football’s only professional sports league, and one of the oldest in North America. It was founded on January 17, 1958 in Montreal, Quebec, and is currently headquartered in Toronto, Ontario. Football in Canada is very similar to American football, as played in the US, although with different rules. The league, with nine teams divided in two divisions, features a 5-month regular season, followed by the three-week divisional playoffs, leading up to Canada's ultimate sports event of the year, the Grey Cup Championship in late-November. Canadian television has made the Gray Cup game the single largest sporting event in Canada - about one third of all Canadian households watch the winners of the CFL's East and West Divisional playoffs. CFL, as Canadian Football’s official source of news and data, is the fans’ most trusted provider of sports coverage and commentary, video highlights, schedules, scores, stats, and other sports information. Nothing beats the excitement of watching your favorite game, whether live at the football stadium or on a big screen TV with friends. And when fans anywhere wish to catch up on a team’s stats in the midst of the action, or at any other time, they can use numerous devices or mobile apps to look up any piece of sports data they can think of. While this is a great convenience for users, providing sports data to a massive audience of information-thirsty football fans without a hitch poses some serious technological challenges. Even rather large and expensive RDS servers are at risk of being overloaded under such heavy read-loads at peak game times. And of course for CFL the possibility of such an occurrence is unacceptable. CFL took advantage of the robust server replication engine of CloudBasic’s RDS Multi-AR. 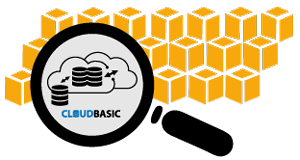 Designed specifically for AWS and to overcome RDS limitations, it is an AWS EC2 Server with pre-installed CloudBasic software, which runs securely within your VPC. It mirrors RDS, EC2 or On-Premise SQL Server databases into one or multiple RDS or EC2 SQL Servers. A version of the product can also become the read-replica, mirroring remote databases into the SQL Server Web or Standard edition pre-installed on the CloudBasic server. The created local Multi-AZ or Multi-AR (Multi-Availability Region/Geo-Read-Replicas) replicas of the primary SQL Servers can be used for reporting, data-locality, off-loading of the primary databases or disaster recovery. The replication engine supports all versions of SQL Server, including Web Edition, and features benefits, which are not available in Amazon’s standard Multi-AZ solution. To ensure that the heavy read loads generated by the user queries do not pose an extra burden to the primary servers. 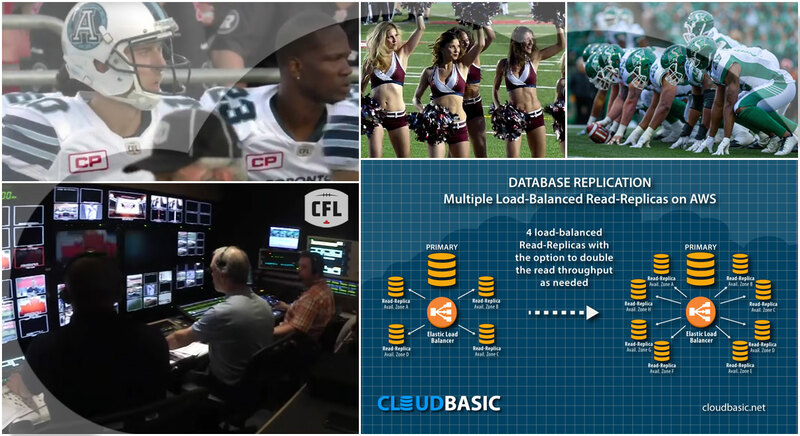 CFL captures all data about a football game into a primary RDS, and then uses CloudBasic's RDS Multi-AR to feed it into multiple read-replicas. All third party information providers, from News Channels, to Mobile Apps, to social media fan pages, can use the League's API to retrieve data in real-time, with the traffic load balanced between multiple read-replicas. CloudBasic is capable of creating virtually unlimited number of Read-Replicas, so the high-availability support behind the API can be scaled up as needed. CFL created an application layer, which sends the public traffic to Read-Replicas, avoiding overloading the main RDS servers. This high-availability architecture delivers lower TCO, via operating of a less costly primary RDS with multiple inexpensive RDS Read-Replicas, while at the same time overcomes RDS Multi-AZ limitations. Most importantly, the League can keep up with the football fans' insatiable thirst for sports data while its fresh and invigorating brand continues to attract the attention of entire new generations of fans in North America.